The use of the IFRS for SME standards in the EU fosters Europe’s image as an internationally competitive and attractive place to invest in. The global reach of the IFRS Foundation and the positive effects that they have brought in terms of quality, transparency and comparability of financial reporting stand at the core of its promotion and acceptance. The use of IFRS globally by the EU companies, without the need for reconciliation, is generally considered to have benefited companies with improved group reporting and administrative savings. For the time being companies can report under one accounting framework. A key principle for publicly accountable reporting companies should be ensuring an effective level of investor confidence and protection. The main objective of the IFRS Foundation and the Board is to take into consideration the needs of entities in diverse economic approaches and prepare financial reporting standards also for small listed companies. This helps to consolidate sets of high quality, understandable, enforceable and globally accepted financial reporting standards based upon clearly articulated values for regulated markets and also for MTFs. 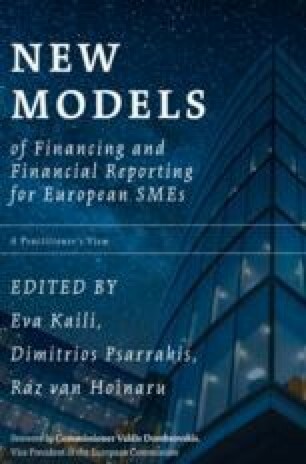 The views expressed in this chapter are those of the author, and do not necessarily reflect the views of the International Accounting Standards Board (Board) or the IFRS Foundation (Foundation). This chapter reflects in large part the submission made by the Foundation in response to the Green Paper, Building a Capital Markets Union, issued in February 2015 by the European Commission (Commission).